Greetings. I remember learning of Officer Mc Nabbs death on the news. I was 13 y/o, eating supper. I remember a wave of emotion came over me. My mom came into the kitchen and saw me sitting, with tears streaming down my face. Charles death by violence hit me hard. For whatever reason Officer Mc Nabb stuck with me. I became an Army MP and kept Charles in my mind. Few years later I became a deputy with the Multnomah County Sheriffs Office for 28 years. All the while, Officer Mc Nabb was with me. Couple years ago I was in Boston and came upon a police memorial by the capital, and instantly found Charles. My girlfriend saw my tears and so I told her the story of Officer Charles Mc Nabb and how he and his service to others had somehow affected my life. I never knew or met Charles, but I can tell you this.... I'll never forget him. Rest in Peace Charles and thank you for your service. 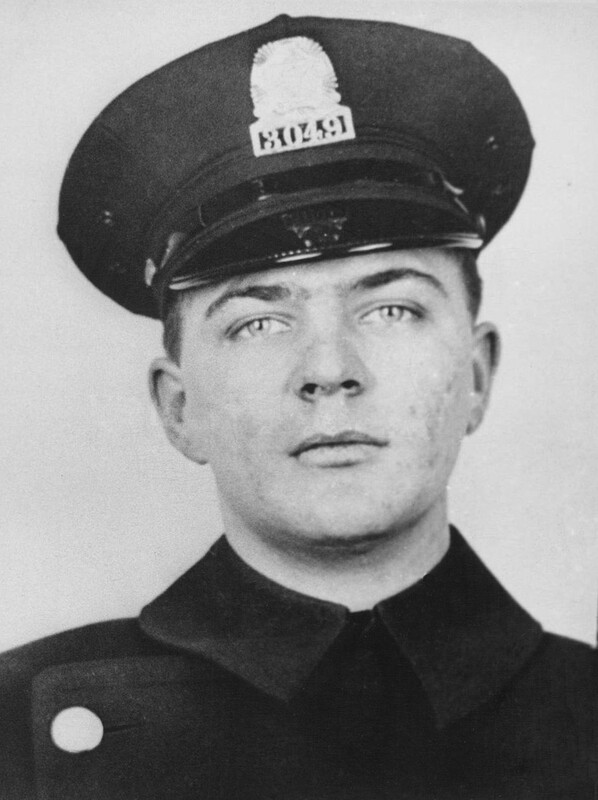 On today, the 50th anniversary of your death I would just like to say thank you for your service and sacrifice for the citizens of Boston. And to your Family and loved ones, I wish to extend my deepest sympathy. May the coward/scum who took your life suffer and rot forever. On this 50th anniversary of Mr. McNabb's death let all of us remember the tremendous sacrifices made by the wives and children of law enforcement officers which allow us to pursue our chosen profession. I'm wondering if your dad and mine knew each other. When I calculate his years of service, he joined the BPD in 1955, the same year as mine did. He was Officer John J. Gallagher. In addition, both our dads were killed within 2 miles of each other. Your dad on Comm Ave/Harvard Streets, mine on Comm Ave/Brookline Ave. It's a Bank of America now, but was a Shawmut bank then. I know how hard it is to have your dad taken so tragically. They were certainly brave and honorable officers. Your heroism and service is honored today, the 43rd anniversary of your death. Your memory lives and you continue to inspire. Thank you for your service. My cherished son Larry Lasater was a fellow police officer murdered in the line of duty on April 24, 2005 while serving as a Pittsburg, CA police officer. On today, the 40th anniversary of your death I would just like to say thank you for your service and sacrifice for the citizens of Boston. And to your family and loved ones, I wish to extend my deepest sympathy. Patrolman McNabb, today marks the 39th anniversary of your tragic death. Adding to the sadness is today being Thanksgiving. My heart goes out to all your family members who, to this day, miss you at ever holiday gathering. Your sacrifice is not what makes you a hero, it only solidifies it. Rest in peace, Patrolman McNabb. Your sacrifice will always be remembered. May God bless your family and colleagues. On 07/18/05 RTG 42-05 remembered Charles A. McNabb and dedicated our training day to him.